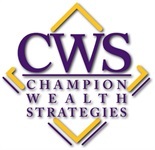 Brandon Worley serves as President of Champion Wealth Strategies. Brandon assumes over 16 years of experience in managing assets for high net worth individuals. He holds security registrations 7, 63, and 65 (held with LPL Financial) while also maintaining his Life and Health insurance license in Louisiana. Brandon is registered to discuss and/or transact securities business in nine US states and the District of Columbia. 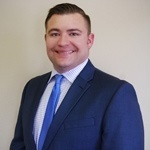 Brandon’s focus is primarily fee-based planning retirement strategies, 401(k) management, and life insurance protection. Brandon received his Bachelor’s degree and Master’s degree in Business Administration from Louisiana State University. He currently resides in Dutchtown with his wife Kasi, and their three children, Haden, Christian, and Kendall.